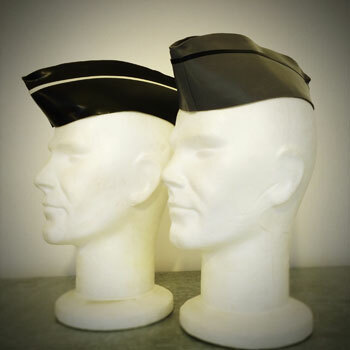 Rubber Military Corps Hat. One size. Shown in Airforce Grey with Black trim. 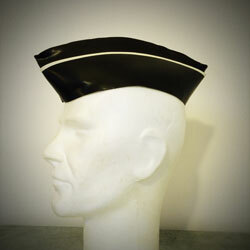 Also available in Royal blue or Black.